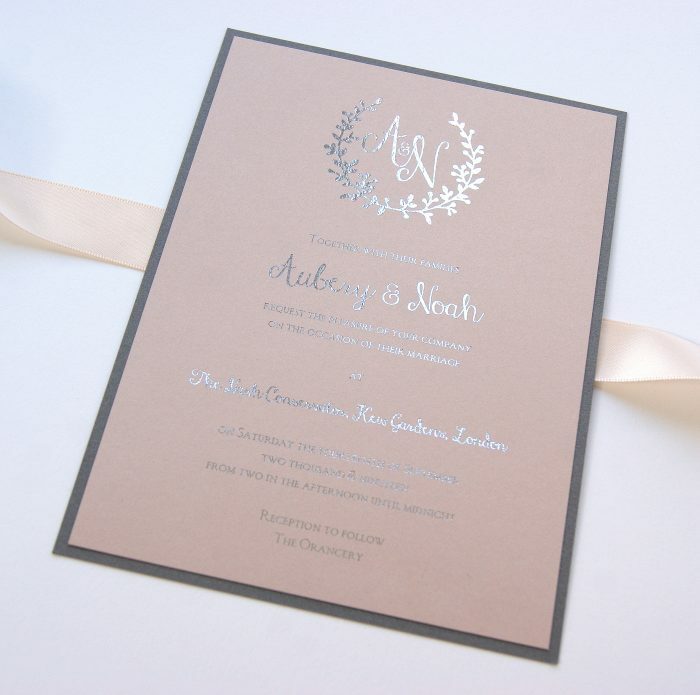 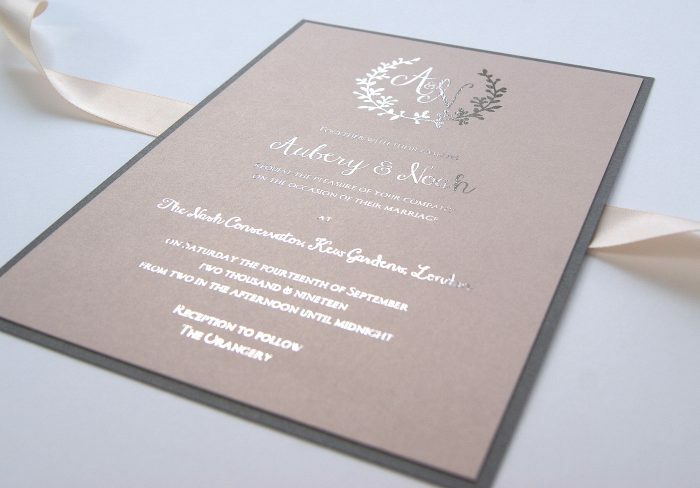 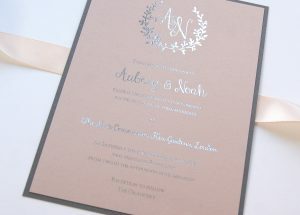 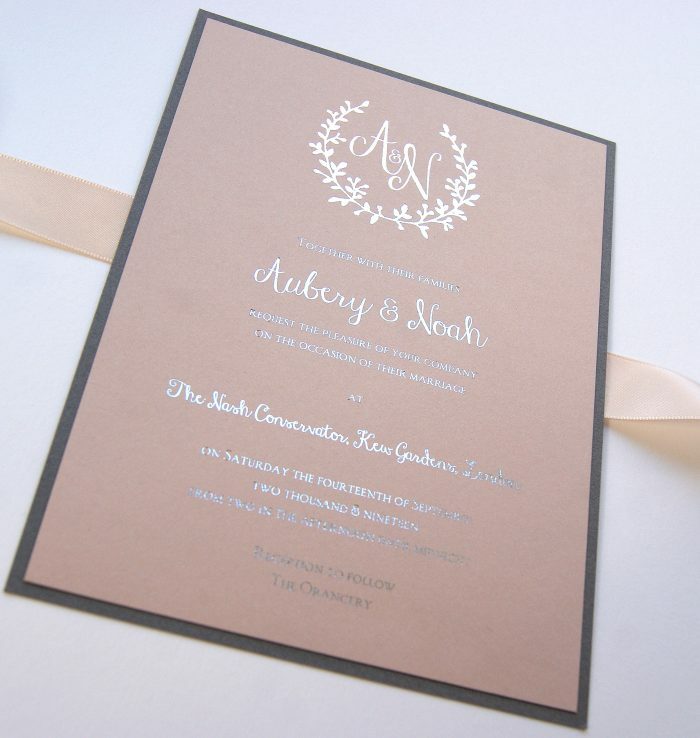 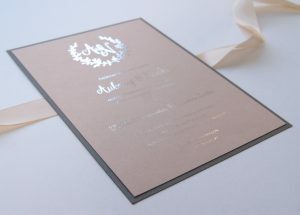 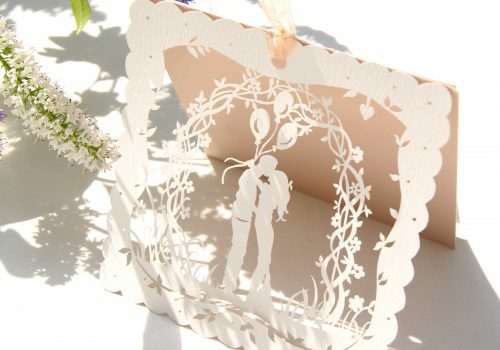 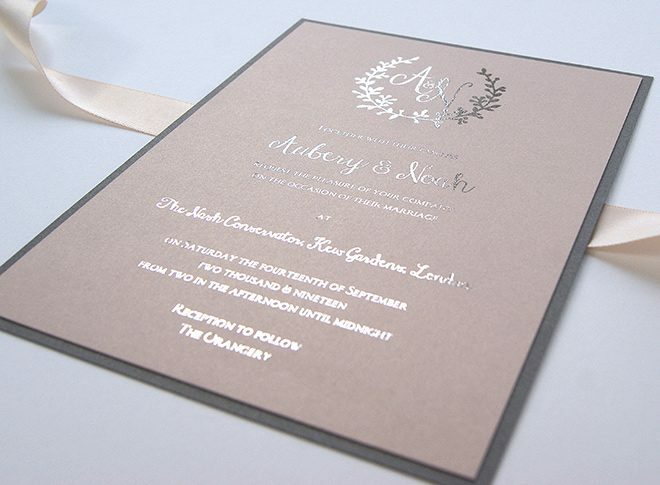 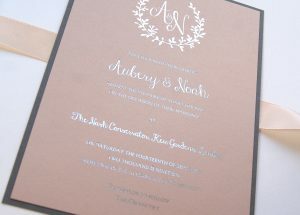 Monogram wedding invitations are the ultimate in style and elegance, a traditional look with a modern feel. 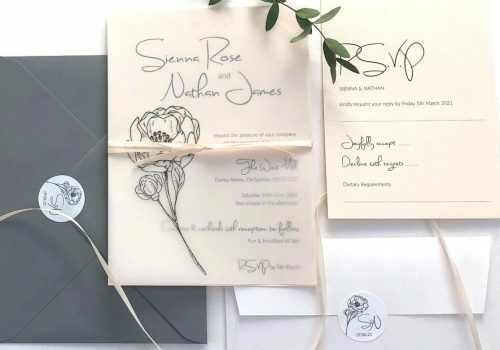 Perfectly personalised foiled invitations for your special day. 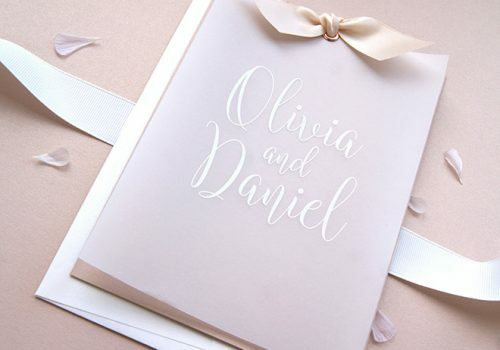 Designed with your monogram created within this delicate wedding wreath.